"Why is there so much misery, suffering, persecution and injustice in the world?" God's people still experience the challenges of life. There is one factor, however, that sets people of faith apart – hope. In Why bad things happen to God's people, Derek Prince shares timeless truths from the book of Job that will keep you anchored during any storm. Be informed… on the roles that Satan and sin play in life's circumstances. Be equipped… to respond to fiery trials with Biblical faith. Be stabilized… through a fresh vision of God's sovereignty and power. Be encouraged… as you remember God's relentless plan to reveal His goodness to you. Why Bad Things Happen to God's People by Prince, Derek was published by DPM-UK in November 2017 and is our 4202nd best seller. 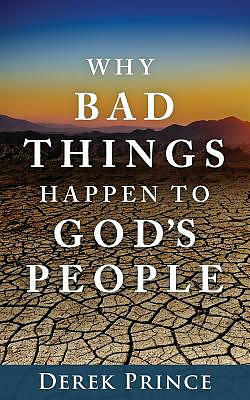 The ISBN for Why Bad Things Happen to God's People is 9781782634690. Be the first to review Why Bad Things Happen to God's People! Got a question? No problem! Just click here to ask us about Why Bad Things Happen to God's People.